Nissan has launched a highly distinctive variant of the award-winning Nissan KICKS for Nissan fans in the Middle East. 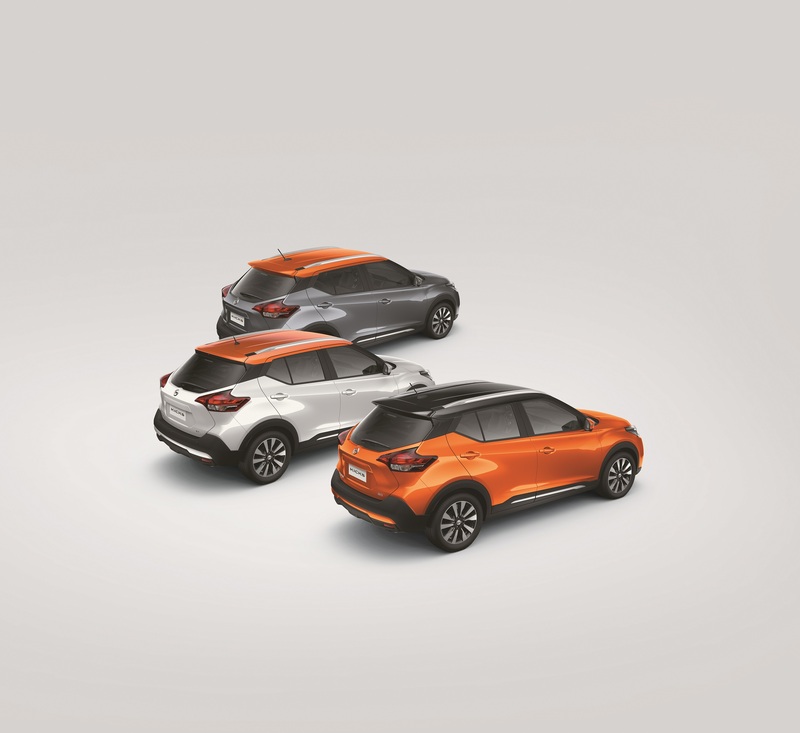 Three new Dual Tone options of the Nissan Kicks are now available at the retail level across the Middle East. Based on their preferences and individuality, customers can choose the variant of Kicks that they feel suits them best. The dual color options include: grey with orange roof; orange with black roof; and white with orange roof. All three options are highly distinctive and will definitely add to the personality of their owners. Commenting on the launch of the dual color tone Kicks in the Middle East, Kalyana Sivagnanam, Regional Vice President, Marketing and Sales, AMI said that from the time that the model was launched in the region in February 2017, the Nissan KICKS has emerged as the market leader in the B-SUV segment. The Kicks celebrated the sale of its 10,000th unit in the region in February. It offers the highest levels of efficiency, safety, practicality, and value for money in its class. With the debut of these three variants, customers now have more choice when it comes to expressing their unique personalities through their cars, in line with the needs of the new generation. The Nissan KICKS has posted highly impressive sales results, and became a leader in its segment, demonstrating a yearly growth of almost five percent when compared to the figures for the last year. IN addition to the choice of the dual tone options, the other benefits that the model offers include higher fuel efficiency thanks to its advanced 1.6 liter engine and lightweight platform. It has versatile interiors and its Nissan Intelligent Mobility (NIM) ramps up the safety aspect. Other features motorists will enjoy include easier rear cargo access and a tire pressure monitoring system. The Kicks is positioned as an innovative, stylish and functional crossover vehicle for the modern urban commuter. The vehicle comes with advanced chassis control technology that makes it easy to navigate congested urban roads. Parking is easier its Around View Monitor and the 7-inch color touchscreen. The advanced technological features and luxurious interiors as well as the bold exterior design were the factors that made the Kicks a big hit with young people across the region. The body sports an advanced aerodynamic design, which minimizes road-and-wind noise and optimizes fuel consumption. Kicks is one of the first models in which Nissan used the Nissan Intelligent Mobility concept to increase driving pleasure for motorists. Nissan Intelligent Mobility uses smart technological features to make life easier on the road while advancing Nissan’s long term goal of zero emission and zero fatality motoring. The Intelligent Mobility technology used in the Kicks will make driving less stressful with the use of advanced features like the Around View Monitor (AVM) and the Moving Object Detection system (MOD). Four cameras are used, one each at the front and rear of the car and in both door mirrors, to create a bird’s eye 360-degree view of the car which is then displayed on the central monitor and used as a aid for parking. The MOD system has the capability to detect a moving object like a pedestrian and sound a warning alert to help avert an accident. The centrally mounted 7-inch color touchscreen provides easy access to functions like navigation, audio, and Bluetooth phone connections. Another screen in the main cluster of dials that complements the touchscreen and is located in front of the door relays information from the on-board drive computer, audio system and navigation systems, and also displays warnings. A digital tachometer also adds a futuristic feel to the interior. A four-way selector on the steering wheel can be used to adjust the vehicle settings. The most outstanding feature of the Kicks is its chassis control, which is supported by advanced electronic systems known as Active Trace Control, Active Ride Control and Active Engine Brake. Some of the signature Nissan design elements used in the exterior design include the V-motion grille, the boomerang head and taillights, and the “floating” coupé-style roof with a “wrap-around visor” look to the windscreen and side glass. The interiors have a “gliding wing” shape stretching the width of the dashboard. The Kicks offers excellent all round visibility due to its generous ground clearance (200mm).